Use the following key words to write a paragraph to explain how you have collected a sample of pure water: evaporation, condensation, gas, liquid, boiling, temperature. What is the difference between pure water and potable water? Some countries produce drinking water from sea water. Describe how you can distil salt solution to produce and collect pure water. How could the water be tested to show it's pure? Heat the sample of sea water until pure water collects in the test tube, it's boiling point will be at 100°C. 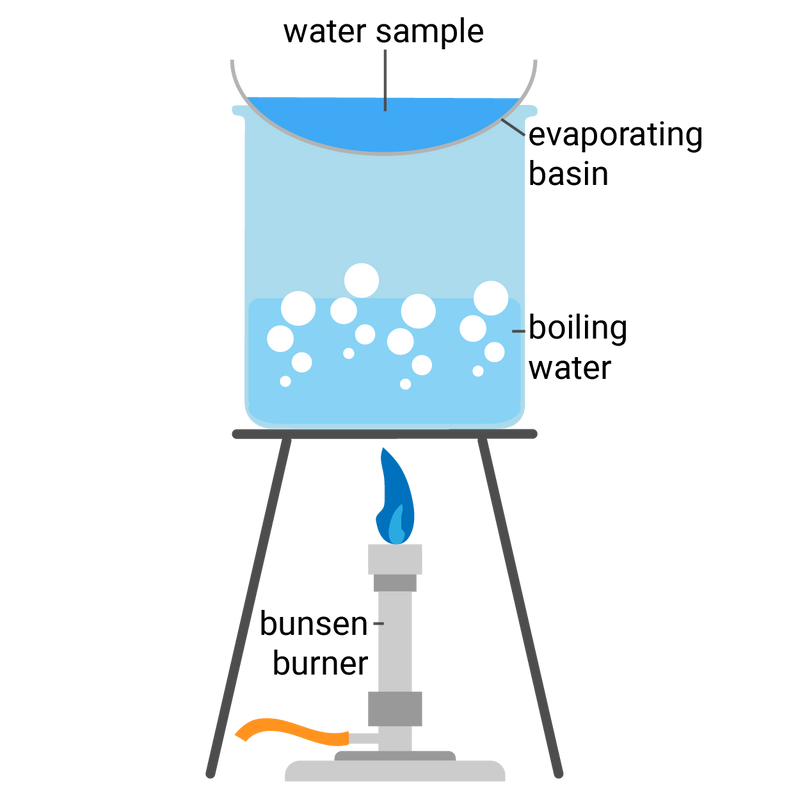 Pour a sample of the sea water into a boiling tube, and connect to a delivery tube. 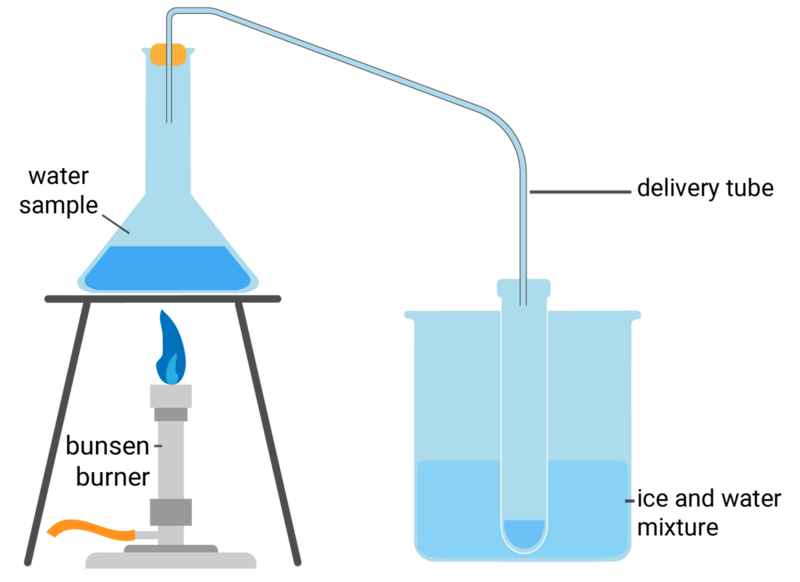 Suspend the delivery tube into a test tube (surrounded by ice and water in a beaker), and set up a Bunsen burner under the boiling tube. Heat the sample of sea water until pure water collects in the test tube. To test if the water collected is pure, it's boiling point will be at 100°C.